Bedouin guides are compulsory in Sinai. To book a guide through the official Sinai Trail Bedouin cooperative, email us at sinaitrailenquiries@gmail.com or call +201005054119. 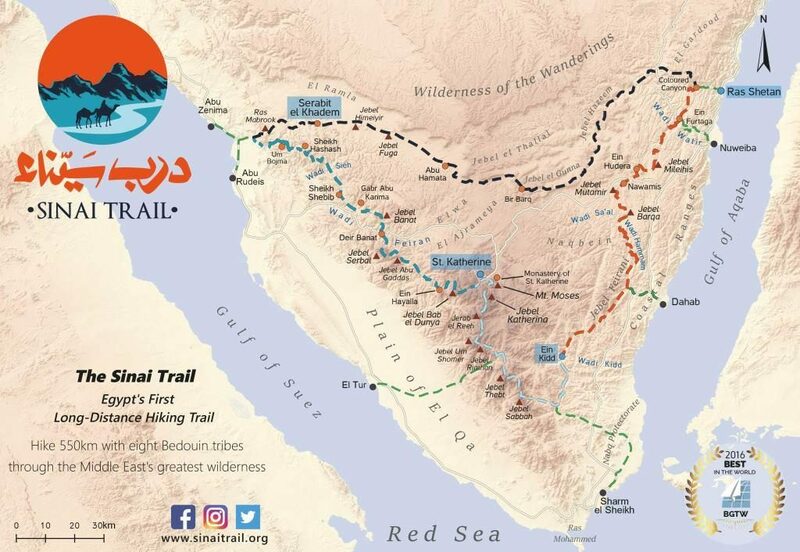 We recommend using official Sinai Trail guides: they have received training in first aid, navigation and management of groups by accredited professionals and Bedouin elders; they speak excellent English and they know the official Sinai Trail route better than anybody, because they made it. Eight head guides currently work on the trail and many young apprentice guides are working under their tutelage on trips. When contacting us please tell us which part of the Sinai Trail you want to hike, when and how many days you have available. We can tailor made a route according to your need.